We are a very informal group and meet twice a month or more. Watch the events list and the maillist for details. For further details about the group and how to join our maillist, please see “About NLUG”. Check on the maillist and here for this month’s events. GNU/Linux, abbreviated to just “Linux”, is a free and open alternative computer operating system that can run on anything from your modem/router to PCs, all the way up to the world’s most powerful supercomputers. 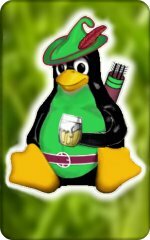 “Linux” is commonly understood to describe the GNU operating system running on the Linux kernel. In everyday common language, “Linux” can also describe the entire software system of applications, GNU operating system and Linux kernel, which is all described also as a “Linux distribution” or a “distro” for short. On this site, all references to the single term “Linux” describes the “GNU/Linux” system pair. References to the Linux kernel are often abbreviated to just “kernel”. The acronym FLOSS includes the phrase “free-libre” to emphasize software “freedom” over that of the ambiguity of “free” also meaning zero cost.